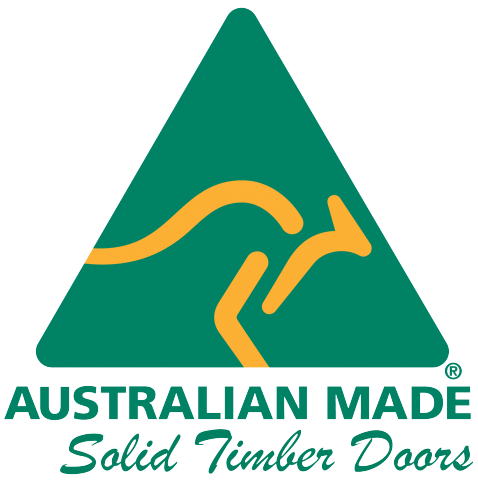 The Door Keeper is proud to be a member of the "Made in Australia' campaign. 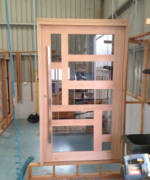 Situated in Bundaberg Queensland, the Door Keeper manufactures custom-designed solid timber doors for domestic and commercial building construction markets. 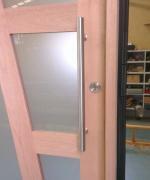 We do not sell imported ready-made doors from overseas. As a specialist joinery manufacturer and door supplier, we specialise in Pre-hung, Entrance, Bi-Folding and Pivot doors offering a design portfolio to complement every style of architecture. The Door Keeper solid timber doors are constructed from the supply of premium kiln dried raw timber sourced only from suppliers who support environmental sustainability forestry. Supporting our commitment to environmentally sustainable timber suppliers, the Door Keeper sources glass from local companies such as National Glass and Viridian. 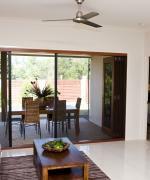 All glass products including float and toughened glass is processed in Australia. 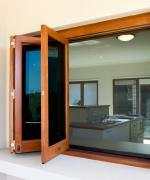 The Door Keeper is proud to partner with Australian glazing manufacturers. This commitment ensures that every product is of the highest quality while also supporting local industry. 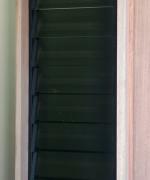 The Door Keeper's manufacturing process combines latest CNC machining technologies with some traditional timber joinery methods. 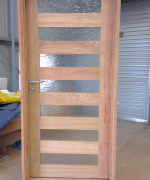 Under the guidance of our qualified joiners, the Door Keeper solid timber doors begin as rough sawn timber that is kiln dried. 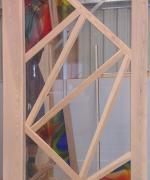 The timber is sawn, straightened, planed, and machined before being glued and pressed into a door. 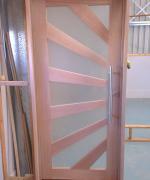 Once assembled the doors are sanded, sized, glazed and sealed on both ends ready for delivery. 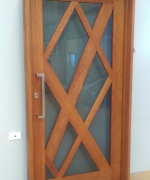 Complying with Australian glazing standards all glass fitted to Door Keeper manufactured doors are secured with timber beadings and sealed with a high performance sealant offering superior elasticity, UV resistance and advance water resistance. 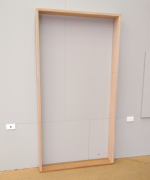 The Door Keeper custom designed timber doors can be manufactured to meet and be used in BAL (Bushfire Attack Level) zoned areas from BAL-LOW up to BAL-29 standards.